Ernest David Bergmann (1903-1975) was an Israeli organic chemist and is often considered the father of the Israeli nuclear program. Bergmann was born in Karlsruhe, Germany. He earned a Ph.D. in organic chemistry from the University of Berlin, writing his dissertation on “The Addition of Sodium to Carbon-Carbon Double Bonds.” After the Nazi government passed its first set of race laws in 1933, Bergmann was fired from his position at the university. In 1934, Bergmann followed biochemist Chaim Weizmann to then-Palestine, where he became the scientific director of the newly created Daniel Sieff Research Institute (later renamed the Weizmann Institute). During World War II, Bergmann worked on defense projects for the Allies, including the production of synthetic rubber. In 1948, the independent state of Israel was founded. Bergmann believed that science and technology were crucial to the success of the Zionist dream. “We listened to the ‘Declaration of Independence’ and everybody went to work, furiously, passionately,” Bergmann recalled. In the same year, Prime Minister David Ben-Gurion named Bergmann head of the scientific division of the Israel Defense Forces (IDF). 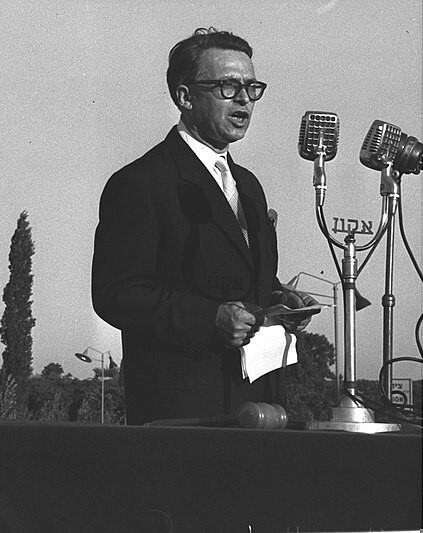 As future Prime Minister Shimon Peres eulogized, “Bergmann's scientific vision was attracted to Ben-Gurion's statesmanlike vision, and the plowman met the sower. From the start a visionary alliance was forged between them, over science, defense and politics that marked some of the most fateful moves of the State of Israel." In 1952, Bergmann founded the Israel Atomic Energy Commission and was named director of research for the Division of Research and Infrastructure (EMET; later RAFAEL). In addition to his government posts, Bergmann taught organic chemistry at The Hebrew University of Jerusalem. He retired in 1966 and received the Israel Prize—the highest Israeli civilian medal—two years later. Ernst David Bergmann died on April 6, 1975 in Haifa, Israel. 1934 Became scientific director of the Daniel Sieff Research Institute in Palestine.